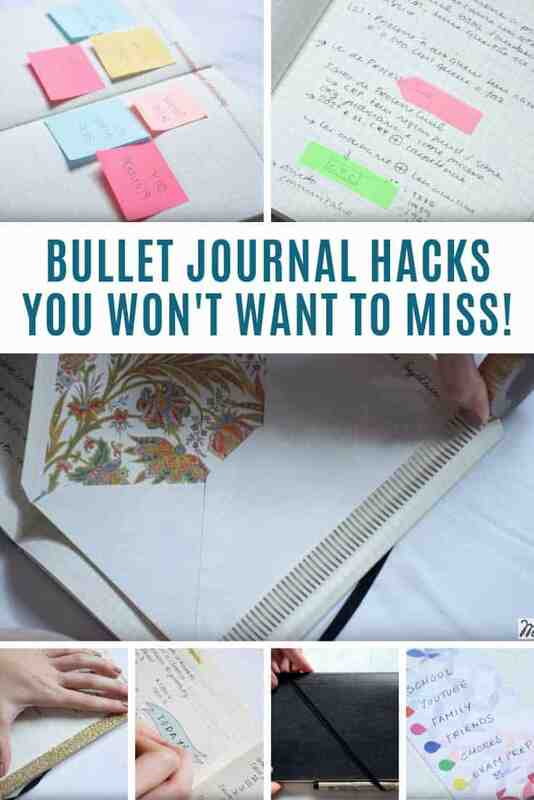 You’re going to love these bullet journal hacks. Everything from saving time setting up your journal to DIY tricks to make it more organized! 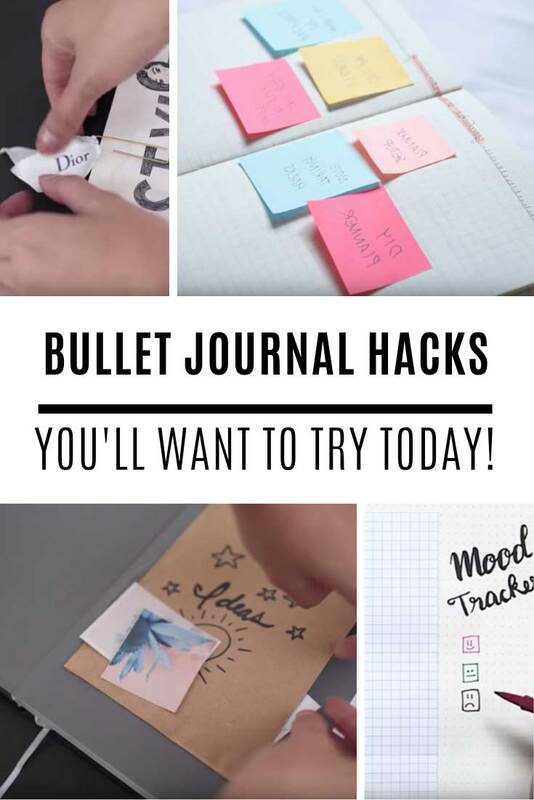 We’ve had lots of reader requests for bullet journal hacks so today that’s just what we’re sharing. 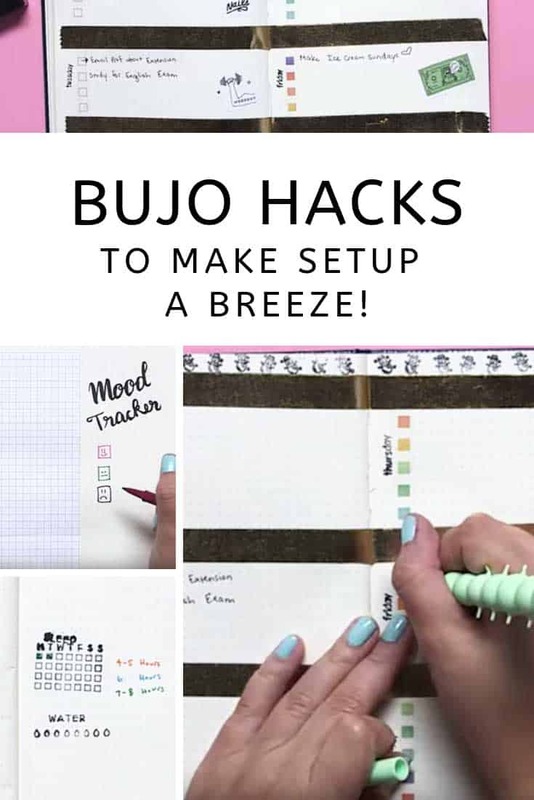 We’ve got 31 genius hacks from three very talented BUJO YouTubers to help you make the most of your bullet journal! Mariana from Mariana’s Study Corner shares 10 of her favourite bullet journal hacks. If you’re always looking for an excuse to buy more Washi Tape you’re going to love hacks 3, 6, 8 and 10! 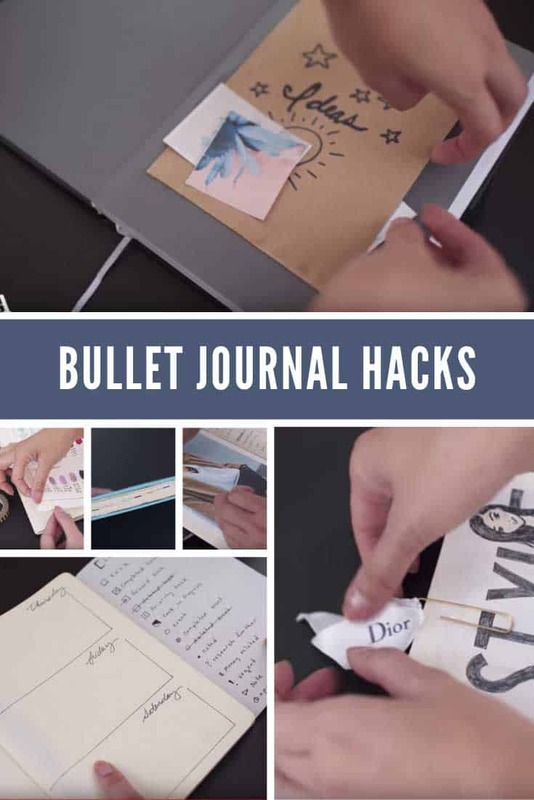 Ann Le shares her favourite DIY hacks to help you organize your bullet journal. I love the colour coding trick as well as the “black label” to cover up mistakes! Hack 7: Store your post its inside your journal! If you’ve been put off setting up your bullet journal because it just feels too time consuming you need to watch Noelle’s set up hacks! She shows you how you can use stencils, stamps and fancy Washi Tape to make setting up your bujo a breeze! Hack 9: Use Wite-Out tape if you make a mistake!